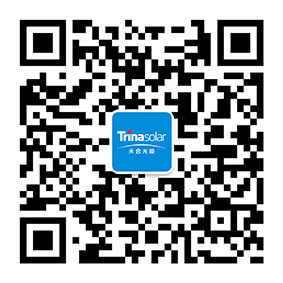 CHANGZHOU, China, Aug. 22, 2018 - Trina Solar has been under the spotlight since the company delisted from the US stock market and became a private company in March 2017. Although the majority of the players in the PV sector have recently dealt with obstacles, Trina Solar Chairman Jifan Gao recently said in an interview that, the company's cash inventory remains at a high level. The company sold more than 4GW of sales volume including modules and solar farms in the first half of 2018, generating more than 2.04 billion USD in revenue, up more than 13 percent compared to the prior year period. For the full year of 2018, it remains quite likely that the company's total sales revenue will exceed that booked in 2017. Trina Solar's debt ratio has now been reduced to 62% as of middle of the year, compared to 67.5% at the start of the year. Trina Solar's cash reserves have also been maintained at a relatively healthy level. As of end of last year, Trina Solar'scash reserves were 643 million USD, and as of 30 June 2018, it had grown to 687 million USD. The rise of international trade barriers is happening in total contradiction to the globalization trend of business development. Trina Solar took both into consideration when the PV maker began to sketch out plans for the globalization of its capacity a few years ago. Following putting 1GW of cell capacity and 1GW of module capacity into production in Thailand, Trina Solar's 1GW cell plant in Vietnam and 700MW module plant in Malaysia have recently become operational. The company also has module manufacturing partners in Turkey. Combined with domestic capacity, the company's global module and cell capacity has now reached approximately 8.5GW and 8.5GWrespectively. "In terms of capacity, we made sure to have in place a structurally meaningful production portfolio rather than simply pursuing scale, as we need to maintain the competitiveness and leadership of our own capacity," Mr. Gao said. Collaboration in terms of capacity with external partners must at all times be in strict compliance with Trina Solar'squality system, including the requirements for material and suppliers, in order to close our capacity gap while preserving quality of product.